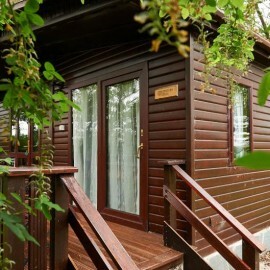 Ladybird Lodge has a balcony overlooking the garden areas close to the pond. Wheelchair access to open plan lounge, kitchen and dining area. Kitchen with oven/hob, microwave, fridge and separate freezer. Full central heating. TV,video and dvd player, free wifi. 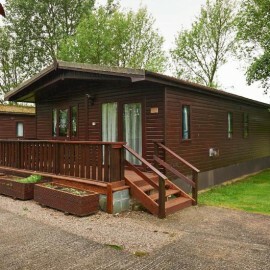 Double bedroom with en-suite shower with disabled access, second twin bedroom, family bathroom with shower over bath. Laundry on-site with washers and dryer, outdoor drying area.